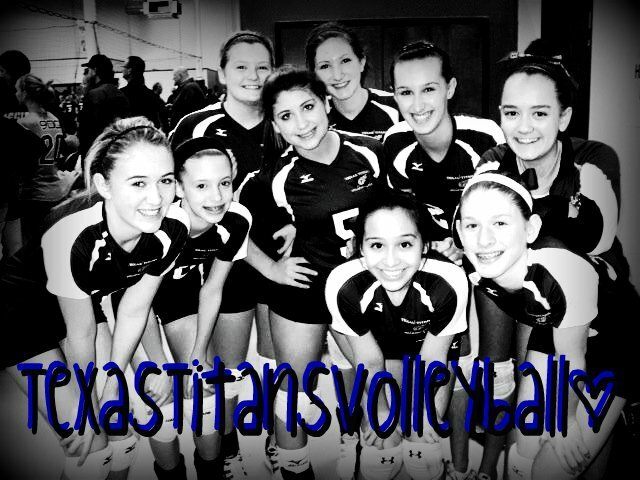 We just can't seem to get enough volleyball around here! 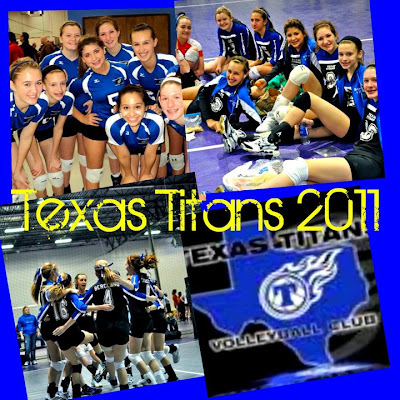 At the end of the school volleyball season, Nicole and Melanie tried out for club teams and are both officially Texas Titans volleyball players. 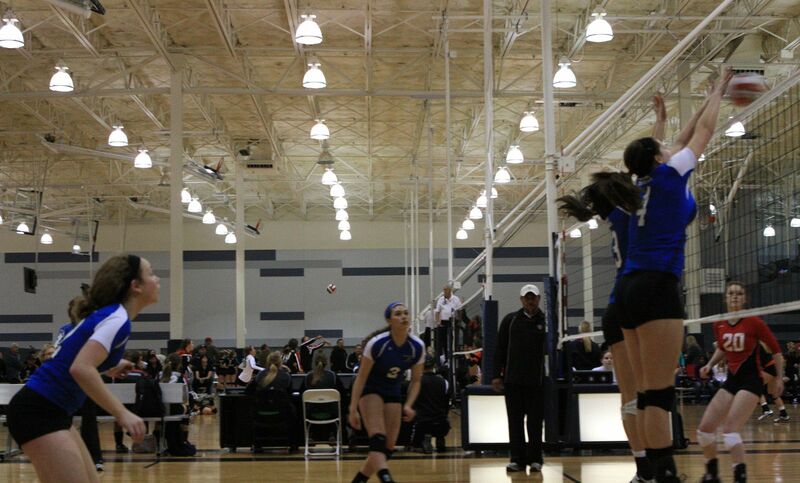 Melanie plays on the 14's Elite Team, and Nicole plays up an age level on the 17's National Team. This has kept us all very busy with practices and now the tournament season has started. 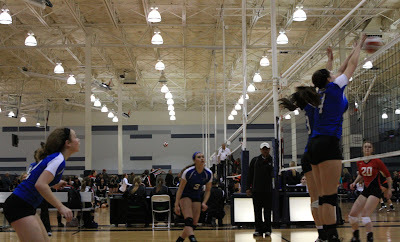 A week ago Nicole's team played in the MLK Ranking Tournament. They ended up taking 13 out of 38 teams which was a pretty good start. 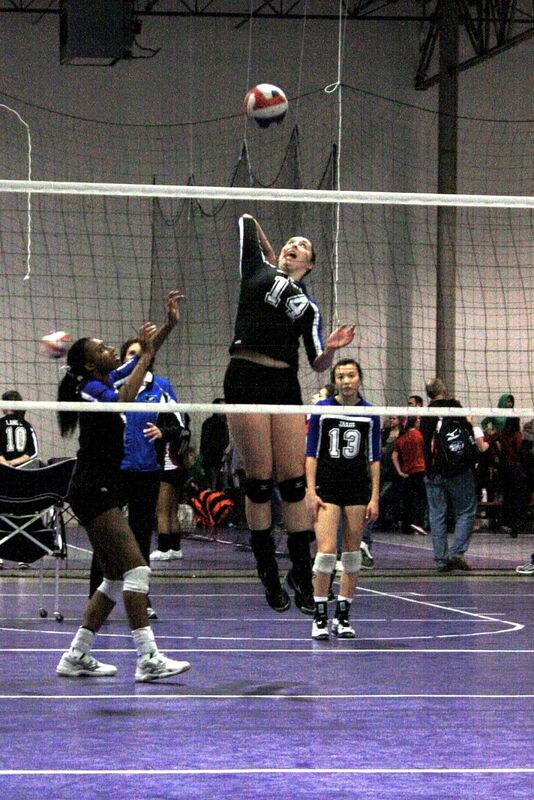 Here's a picture of Nicole going up for a block. Then this last weekend both girls played in the Winterfest tournament. 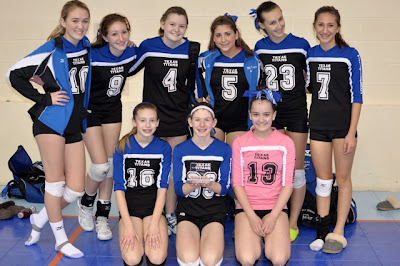 Nicole's team played in a 17/18's division. So Nicole, a 15 year old sophomore, was playing teams with 18 year old high school seniors. They took 3rd in the tournament, but were the top finishing 17's team!! 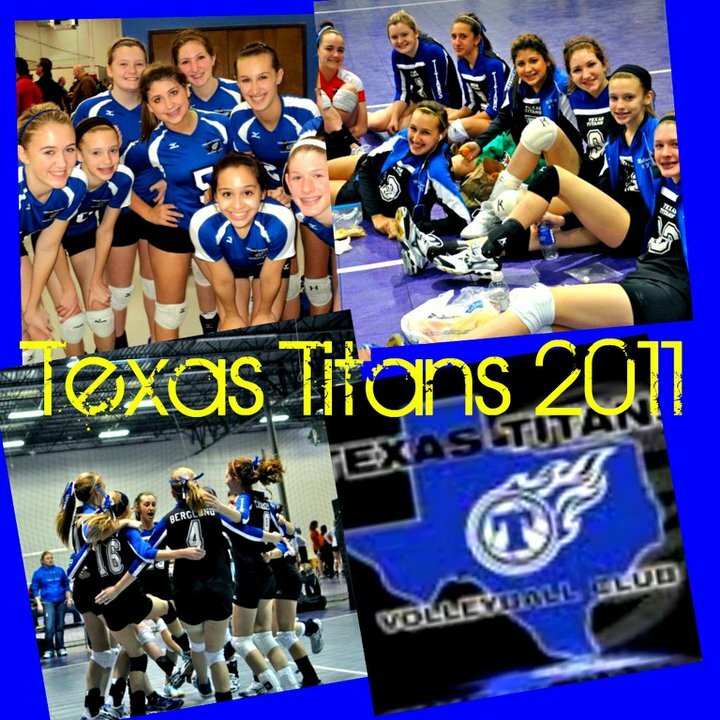 Their championship game was fun to watch because they lost the first set and came back to win the last 2 sets. In the final set they were down by several points and came from behind to win it. It was so exciting to watch, and I think the girls learned a lot about themselves and volleyball in the process! So if my posts these days seem a little sporadic and rare, it's because I'm probably driving the girls to practice or tournaments. OK .... how can you get even more darling than you already are. Heidi you amaze me. SO CUTE, and SO FUN. Your girls did AMAZING!!! Jess just lost the championship Gold Division MLK Tournament to a 16's team. Our tournament isn't near what yours was. She heads to Vegas in Feb. They have a Seniors Showcase for those Seniors that are uncommitted. It will be a huge weekend. Will you be out our way to any tournaments?? We do Vegas, Denver, Reno and Anaheim. I know 2 girls who are so blessed to have you as a mom. I also know it works the other way, too! Cute water bottles! 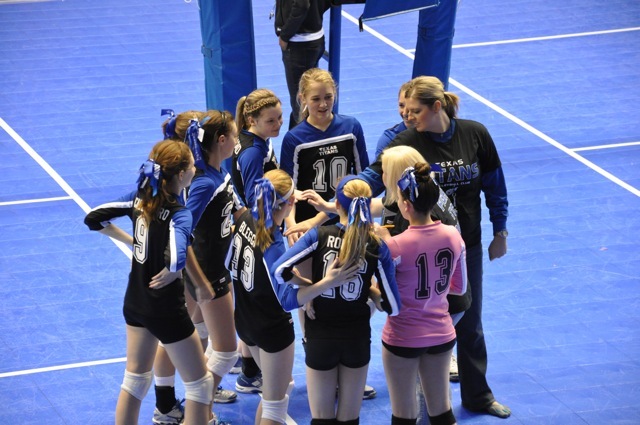 And amen Lacee: love watching VB. And playing it, too. It's even better when you get to watch your daughters, daughters-in-law, and granddaughters in a game.